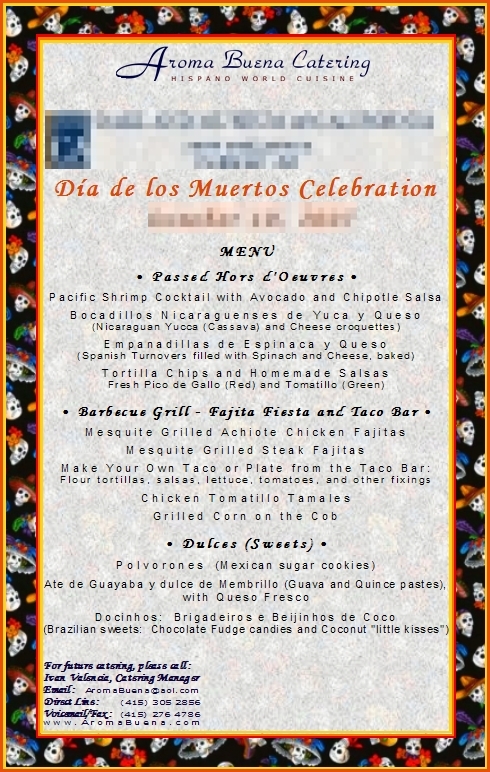 Sample of Actual Client Menu from Previous Events - Dinner - Menu ID 858138.
. Passed Hors d'Oeuvres .
. Barbecue Grill - Fajita Fiesta and Taco Bar .